The ARC Victorian Branch presented Tony with a Distinguished Service Award for his 15 years service as Chairman of the branch. Tony showed inspirational leadership and will be sadly missed. 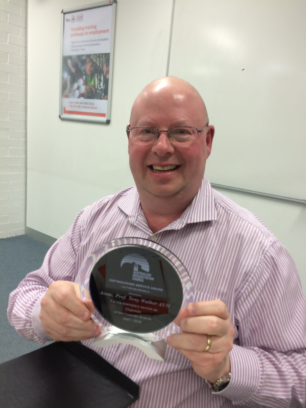 In August 2016 Tony was also presented a Recognition of Service Award by the ARC National Council for his enormous contributions over the past 15 years as the Victorian Branch representative.